12.2 oz. / 100% Ring Spun cotton, preshrunk, firm hand and water repellent. • 7 riveted pockets including 2 large back pockets. • Double knees with opening sides for knee pads. • 1 riveted watch pocket. 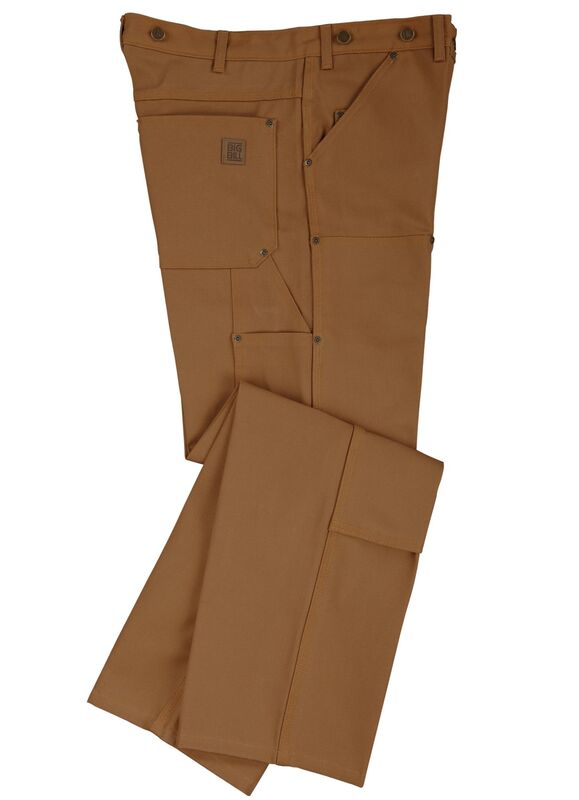 • 2 riveted tool pockets on right leg. • 1 riveted hammer loop on left leg. • 2 riveted rear pockets.